If you hang around WordPress long enough – or arguably any community long enough – then you’re likely to see certain conversations show up again and again. Right now, it’s undeniable that WordPress has massive marketshare and that it’s doing a good job of maintaining that; however, there’s questions as to whether or not WordPress can grow beyond what it currently has. This is true for a variety of reasons the least of which isn’t the fact that there are other new content management systems cropping up much more frequently than others. This makes us nervous. Conversations start, blog posts go up (I guess this one is included, I dunno – I tend to take a different approach), and then FUD begins to fuel more of the conversation. But I think that’s the problem: We forgo where we’ve been, where are, and where we can head, then we look to our and left and our right and feel like we’re doing something less superior. I’ll be the first to admit that I’m a fan of a lot of the new systems that are cropping up. 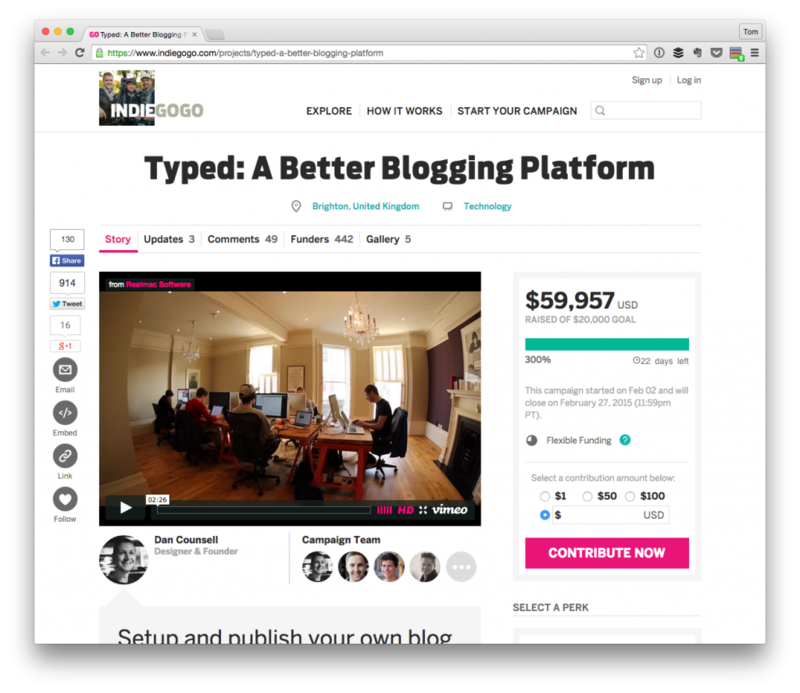 This includes services like Ghost, Medium, and the most recently funded Typed. They each bring with them a unique perspective, a unique take on the whole blogging thing. But given our response to these new platforms, WordPress seems to be perceived as this crotchety old man who is sitting on his or her front porch complaining about all of the other kids showing up on his or her lawn. This attitude isn’t new. Like I said, it shows up every now and again whenever something stirs the proverbial blogging stew. Here’s the thing, though: WordPress, like many – though not all – of the other platforms that are available is open source. This means that we’re free to borrow ideas, to shun ideas, to refactor ideas, to re-implement ideas, and generally look around and see what works, what doesn’t, and how we can make it better for our own needs. Secondly, a new, small platform aimed directly at bloggers is not going to automatically upset WordPress overnight. Sure, everyone wants their favorite platform with as much marketshare as possible (who wouldn’t? ), but I don’t think it’s possible to really compare some of these alternatives because WordPress is more than just a blogging platform. It’s matured into the realm of content management. If others want to go after the blogging niche, then go for it – do the best you can, introduce some new ideas, make it fast, attractive, and help people share their words. We should have choices in how we do this. We need to remember, though, that WordPress is not just about blogging anymore. Furthermore, we need to remember that the core developers iterate and release very, very, frequently on WordPress. They take great pains to pay attention to backwards compatibility all the while looking for ways to improve accessibility and to introduce tools that make content management easier for us with every release. I’m Not Being Defensive. Honest. 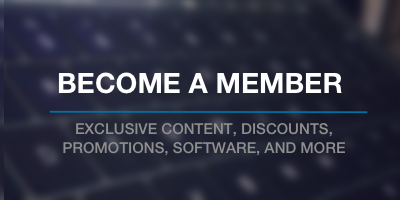 If this sounds like I’m on the defensive for WordPress and its up-and-coming peers in the blogging world, I’m not (at least, I don’t mean to be). If anything, this is more of a statement of how I perceive WordPress against the variety of blogging platforms that are showing up around it. Simply put, WordPress is more than just blogging at this point and just as it’s taken years for it to get where it’s going, so will it take years for something else to come along and upset it. Does this mean the new tools that are being released aren’t up to snuff? Absolutely not. Some of them do things beautifully; some of them have ideas that fit in the “I wish I had thought of that” category. But that’s neither here nor there, for now. Instead, I think it’d help all of us a lot more if we were to stop trying to have our conversations in a silo and look and the much broader landscape of both blogging and content management software, and then try to determine the best course of action from there. Tom, as usual, I say your insights rock. The reason we started The WordPress Helpers (aside from … you know … what the words imply at their simplest level) actually has everything to do with this. The WordPress Community (not the just the folks who have so welcomed me on Twitter; but a much larger group) has become—as happens—moribund. THAT, of course, is a problem. ALWAYS. It isn’t about large or small or who; when a shark stops swimming, it dies. So think about how large WP has become, market-share-wise. Forget Matt’s vow to get to fifty percent of all web sites; that’s gonna take time and goals will shift , re-shift, and re-shift again before that happens. Fact is, 23% of all web sites, in eleven years, when you started as a blogging platform, and there are MANY options is … amazing. BUT: WordPress has grown by following a particular path, and that path/model is showing its age. IMHO, sustaining the growth rate is all but impossible unless more PEOPLE … the kind of people who are attracted to Wix, Squarespace, et. al., can dive in about as easily as those services work. And sure, those products (note I am NOT referring to them with the word “platform”) aren’t actually as easy as they pretend to be and you’re locked into something proprietary, so: UGGGH! But it still comes back to people. People need help. “How to setup your WordPress Site in 147 easy lessons” won’t do it, not only because that’s too much. but because at the end a very large percentage of (the very small percentage of) folks who simply followed along will have exactly the same site, and then will either have been better off with Wix, after all—or only then start to realize they have a problem and decide to address it. So it’s a matter of keeping dialogue going. Addressing tasks as they come up. Doing it in and with the native tongue (which isn’t PHP). Being flexible. You know, the opposite of moribund. Big job, and it takes a village. And if we wait to make it about competition, there won’t be one. Because the competition will have already left WP behind. That’s a really good point, Jeff. And the good news is that we are starting to see this happen more and more. Maybe I’m late to the game but in the last 6 months I’ve noticed more and more services/platforms popping up to cater to that very crowd. Think things like Rainmaker but even more so Evermore. These services make site creation just as easy as Wix or Squarespace but with the added benefits of being on an open platform and not locked into anything. I love it. And I see good things happening from another direction as well…. which is in the Themes market. Commercial and free themes alike are rapidly advancingwith drag and drop layout editing and realtime customization. In particular I installed Make (Theme Foundry) the other day (which Tom uses on this very site) and was blown away with what they have done with the native theme customizer. Truly amazing stuff. Anyone know what happened to that? Jason, I don’t know Evermore, but I sure do know Rainmaker. And it’s pretty great, and not cheap(huh … perspective … ) and worth every penny, says me. Of course, it’s also “managed hosting”, so it’s flexible only so far as it chooses to be. The sweet spot isn’t here yet. The limitations of managed hosting aren’t acceptable, but allowing people to do whatever they want isn’t possible in a closed/controlled system. I think there are people vested in WordPress who have the brains to take this on … honestly I think Tom could be one of them.